Whether your signature look is classic, sleek, trendy, curly, or edgy, we have the right designer to make you look your best! At Merlin’s, we strive to consistently educate ourselves on the most cutting edge hair care techniques and to create a warm & inviting atmosphere for all of our valued clients. With highly-trained & talented professionals and a diverse collection of specialists at Merlin’s, you are sure to discover the Ultimate You! 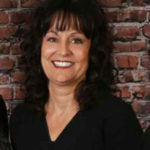 Catherine Kimpton is a curl specialist, colorist, and owner of Merlin’s Ultimate Images. 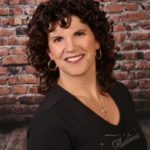 A graduate of the New England Institute of Cosmetology, Cathy has been coloring hair and teaching people how to embrace their curls for more than 25 years. 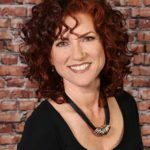 To stay on the cutting edge of the industry, Cathy regularly travels around the country to attend continuing education classes, and is a proud member of Curly Hair Artistry, a non-branded community of curly hair professionals who share techniques and business advice. In 2015, Merlin’s even hosted the Curly Hair Artistry Fall Curl Symposium, which brought hairdressers from around the globe to the Manchester salon to practice and perfect their curly hair craft. Ciao! 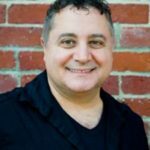 A native of Italy, Fausto is an expert hairstylist with over twenty years’ experience, including seventeen in New York City where his clients included professional models as well as movie and TV actresses. He is a color specialist, advanced cutting expert, and certified in both the Deva and Curly Artistry advanced dry-cut methods for naturally curly hair. Fausto specializes in hairstyles that promote a professional image while reflecting his client’s unique personality. Coming to the states with his family as a young boy, he always knew he wanted to be a hairstylist, but it was only after exploring other career fields, including being a horse jockey in Saratoga Springs, that he finally came home to hairstyling. He has never looked back. Fausto believes in creating a full client experience and genuinely cares. “I love all my clients. I’m happy when I make their hair look great and they’re happy.” As Manchester’s only opera-trained hairstylist, he can even be coaxed to sing a beautiful Italian melody. As an expert in the challenges of cutting curly hair, Fausto welcomes new clients of all hair types and ethnicities who desire to project a professional image. He’d love to hear from you. To make an appointment, simply call or text him at 603-674-7255. Working in the beauty industry for over 25 years, Amy’s passion for fashion shows on the faces of her many smiling clients. Along with experience in cutting, coloring, and highlighting, she is also certified in the I-tip hair extension method and trained at the NY Devashan Salon to become a Deva Inspired Advanced Stylist with naturally curly hair. With 22 years of experience, I love what I do for many reasons! It makes me happy when my client leaves with a big smile on their face, and feeling great about themselves! I am a master colorist, and have recently started using “All Nutrient”, which is a paraben free, gluten free, organic color line. It leaves the hair feeling and looking great with amazing gray coverage as well! In 2009, I got my cosmetology instructor license so that I could become an educator and share my passion for the industry with future professionals. Being an educator allows me to stay current with the latest coloring and cutting techniques, and all the latest fashion trends.